Jim Renacci has refused to provide voters with positions on key issues covered by the 2018 Political Courage Test, despite repeated requests from Vote Smart and voters like you. Yes e) Should federal subsidies be prohibited from being used for abortion procedures? Indicate what federal funding levels (#1-6) you support for the following general categories. Select one number per category- you can use a number more than once. Indicate what federal tax levels (#1-6) you support for the following general categories. Select one number per category- you can use a number more than once. Yes 3) Do you support the elimination of the federal estate tax? Yes 4) Do you support requiring the federal budget to be balanced each year? No 5) Do you support using government funds in an effort to stimulate and improve the economy? Yes a) Do you support privatizing elements of Social Security? Yes b) Do you support reducing government regulations on the private sector? No c) Do you support increasing the federal minimum wage? Yes d) Do you support the ability of workers to unionize? e) Do you support federal funding for job-training programs that retrain displaced workers? No a) Do you support increasing the amount individuals are permitted to contribute to federal campaigns? No b) Should Congress regulate indirect campaign contributions from corporations and unions? No c) Do you support removing all contribution limits on federal campaigns? d) Should candidates for federal office be encouraged to meet voluntary spending limits? Yes e) Do you support giving the President the power of the line item veto for items concerning appropriations? f) Do you support limiting the President's ability to define how legislation is applied through the use of signing statements? Yes b) Do you support programs that provide prison inmates with vocational and job-related training and job-placement assistance when released? Yes c) Do you support programs that provide prison inmates with substance abuse treatment? No d) Do you support reduced prison sentences for non-violent offenders? Yes e) Do you support mandatory prison sentences for selling illegal drugs? No a) Do you support federal education standards and testing requirements for K-12 students? b) Do you support federal funding for universal pre-K programs? Yes c) Do you support federal funding for charter schools? Yes d) Do you support federal funding for K-12 school vouchers? Yes e) Do you support the federal government providing college students with financial aid? I strongly support school voucher programs. No a) Do you support enacting environmental regulations aimed at reducing the effects of climate change? No b) Do you support international emissions targets aimed at reducing the effects of climate change? No c) Do you support allowing energy producers to trade carbon credits under a "cap and trade" system? Yes d) Do you support strengthening fuel efficiency standards on all gasoline and diesel-powered engines, including cars, trucks, and sport utility vehicles? Yes e) Do you support domestic oil exploration in federally-protected areas? f) Do you support federal funding for the development of alternative energy? Yes g) Do you support the development of nuclear reactors? I support tax credits for private sector investment in alternative energy. 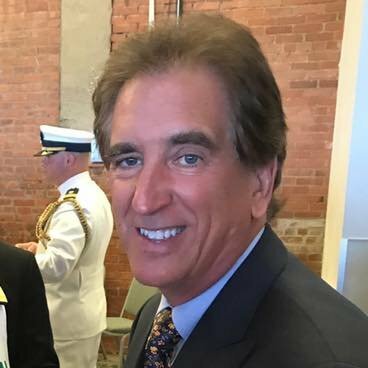 Jim Renacci. 2010. Project Vote Smart: Ohio Congressional Political Courage Test. Gun Issues: e) Other or expanded principles: "Any restrictions on the possession of firearms must meet constitutional "strict scrutiny", it is a fundamental right." Yes b) Do you believe that the Second Amendment guarantees the right of individual citizens to own guns? No d) Do you support a ban on assault rifles? Any restrictions on the possession of firearms must meet Constitutional "Strict Scrutiny"; it is a fundamental right. No a) Do you support a publicly-administered health insurance option? Yes c) Should the federal government expand eligibility for tax-free medical savings accounts? Yes d) Do you support monetary limits on damages that can be collected in malpractice lawsuits? e) Do you support relaxing regulations on the importation of prescription drugs? I support health care reform targeted at decreasing costs through increased competition and tort reform. No a) Do you support a pathway to citizenship for illegal immigrants? No b) Do you support decreasing the number of legal immigrants allowed into the country? Yes c) Do you support establishing English as the official national language? Yes a) Do you support United States military action in Afghanistan? Yes b) Do you support increasing military assistance for Afghanistan? c) Do you support increasing economic development assistance for Afghanistan? Yes d) Should the United States continue to strike suspected terrorist targets in Pakistan? Yes e) Do you support granting aid to countries when it is in the security interests of the United States? f) Should the United States support the creation of a Palestinian state? Yes g) Do you support increasing sanctions on Iran if it continues to defy United Nations mandates? No h) Do you support the withdrawal of United States troops from Iraq? Yes i) Do you support the United States' involvement in free trade agreements? No c) Do you support federal funding for embryonic stem cell research? d) Should the federal government end affirmative action programs? (1) It's imperative that we eliminate Washington's reckless deficit spending and implement pro-growth policies that will foster job creation and reverse the rapid economic decline we've witnessed since our current Congressman we elected. In Washington I will support, low tax, small government, free market policies that will restore the stability...to the marketplace that we badly need in order to restore jobs...and...balance the federal budget. (2) In addition to fighting for lower taxes and less spending, I will fight against the Obama Administration's reckless energy, labor and health care policies that threaten to take a wrecking ball to...the American economy.